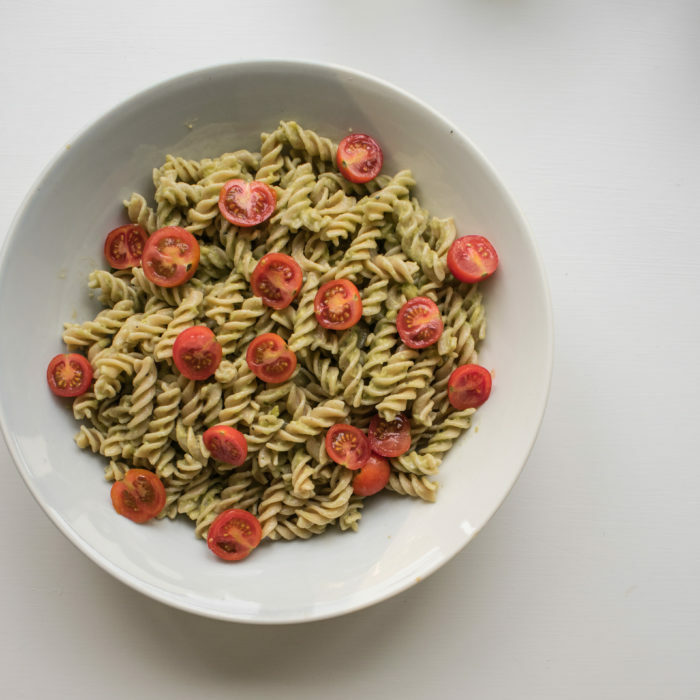 This avocado pesto pasta is a great lunchtime option for the office. I like to prep a batch at the start of the week and take it with me for lunch over a number of days. A light summer-time dish made with all fresh ingredients and served cold. It’s a refreshing and tasty way to enjoy pasta without the preservatives of store bought pestos. 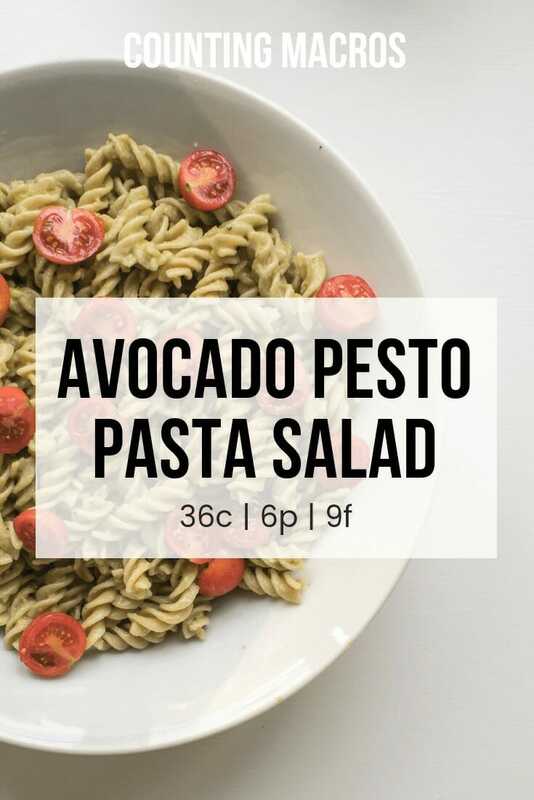 A refreshing cold pasta salad made with a fresh homemade avocado pesto dressing. A great lunchtime dish to pack up and take with you. Finely chop garlic cloves and add to a blender. To the blender add avocado, extra virgin olive oil, lemon juice, basil leaves, spinach. Blend until the mixture becomes a smooth consistency. You may need to add a small amount of water to achieve the desired consistency. Add salt and pepper to taste. Cook the fusilli pasta in a pan and boiling water until soft. Once the fusilli pasta is cooked, drain and rinse with cold water until the pasta feels cool to touch. Transfer the cold pasta to a dish and combine with the avocado pesto dressing from the blender. Half the plum tomatoes and arrange on top to decorate. This avocado pesto dressing can be used for all sorts of other dishes too, I like to use it on leafy salads and with mezze plates.